My Boyfriend Hates Makeup: Never Glow Up! Glow in the dark polish by Sonnetarium! Never Glow Up! 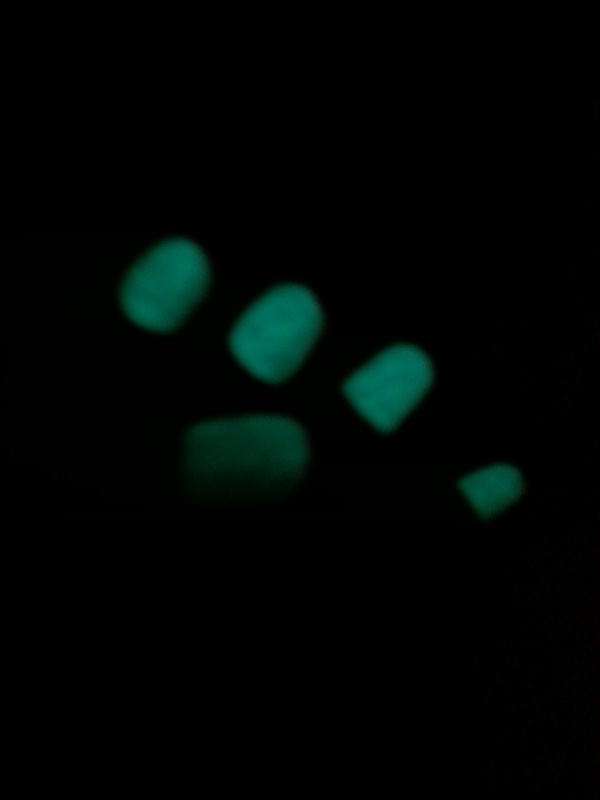 Glow in the dark polish by Sonnetarium! 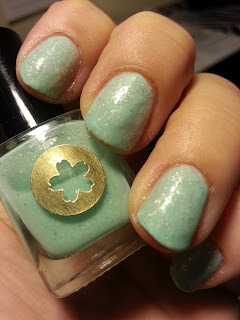 I am a huge fan of supporting small businesses and when I saw this polish by Sonnetarium, I knew I wanted it in my cart! I originally found Sonnetarium on a post by Chalkboard Nails that compared black and white glitters. Chalkboard Nails calls this the ULTIMATE Black and White Glitter Comparison Post, and they are not exaggerating at all. There are 28 black and white glitters in the post - 28!!! Siiiick!! You can see the ULTIMATE post here: Chalkboard Nails! If I am going to pay for shipping, why only buy one polish? The package needs a travel partner, does it not? Never Glow Up first called out to me because it is a pastel blue glittery polish and I own nothing else like it. 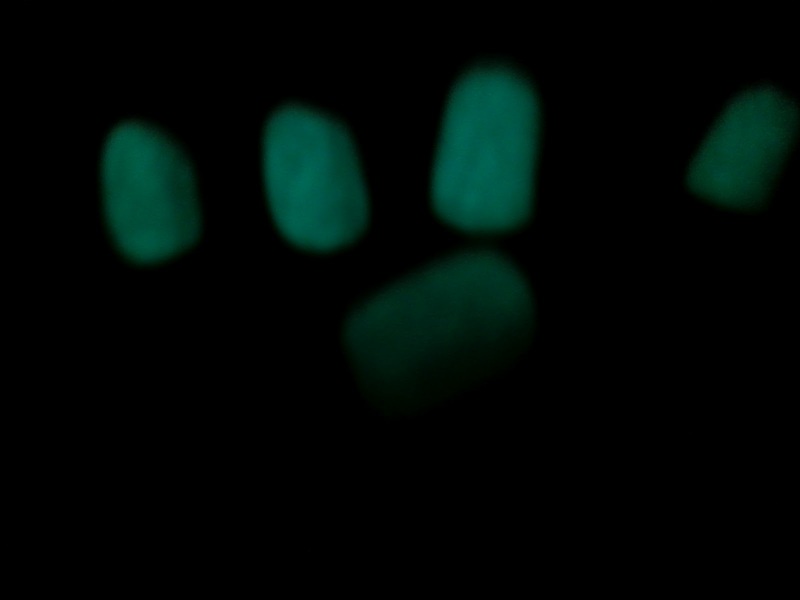 Plus: IT GLOWS IN THE DARK!! This Halloween, this about ordering from a small business instead of picking up a mass produced (and more toxic) product from the store!!! Check out Sonnetarium on Etsy! http://www.etsy.com/shop/Sonnetarium I love everything here and am looking forward to trying more polishes (I just wish the bottles were a little larger!). Check out Never Glow Up!! The Money shot!!! Love this! Never Glow Up glows brightly even with a topcoat, which you need because it dries a little gritty. The glow properties do that, but one coat of Seche takes care of it. It takes 10 minutes in sunlight to "charge" the polish and it glows for HOURS. I went to bed with it glowing, woke up and stumbled into the living room to find the lights and noticed they were STILL glowing when I woke up. Awesome! 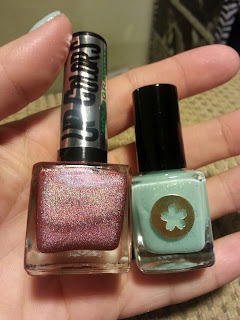 If you need a Glow polish for Halloween, or just for a change to your collection, def check out Sonnetarium!